Sheffcare is one of Yorkshire’s largest care home operators. The company has 10 care homes across the Sheffield region and also provides day care and specialist services, such as Dementia care. 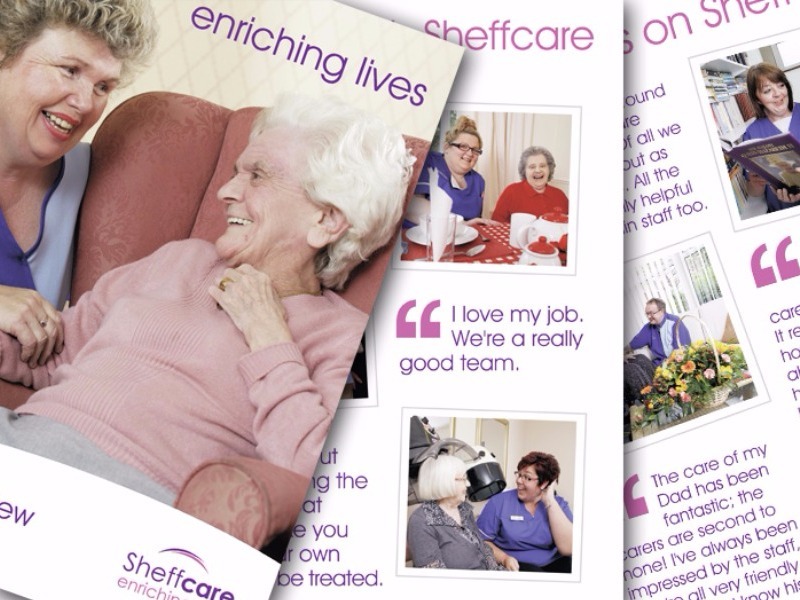 Dragonfly PR manages all the corporate literature and branding requirements for Sheffcare. This includes designing the company’s website, creating its brand identity and regularly creating new literature, such as the Annual Review, care home brochures, specialist services brochure, plus a whole range of other company literature. We have helped Sheffcare to position itself as a high quality provider of care services to the elderly. The company’s literature has improved dramatically over the past few years and feedback from residents and their families has been very positive. The latest website has seen constantly increasing traffic levels and a better ranking in organic search.